Elsa Morante’s seminal novel of Italian women and children’s experience and struggles during the Second World War, La Storia, provides both the theme and the title of the exhibition. Like Morante, each of the artists in the exhibition is concerned with the “dailyness” of living and the ways in which seeming banal experiences come together over time to create meaning and even define a life. In all of the works selected, the artists’ reveal their interested in the ways pattern and repetition accumulate to create broader, more profound meaning. 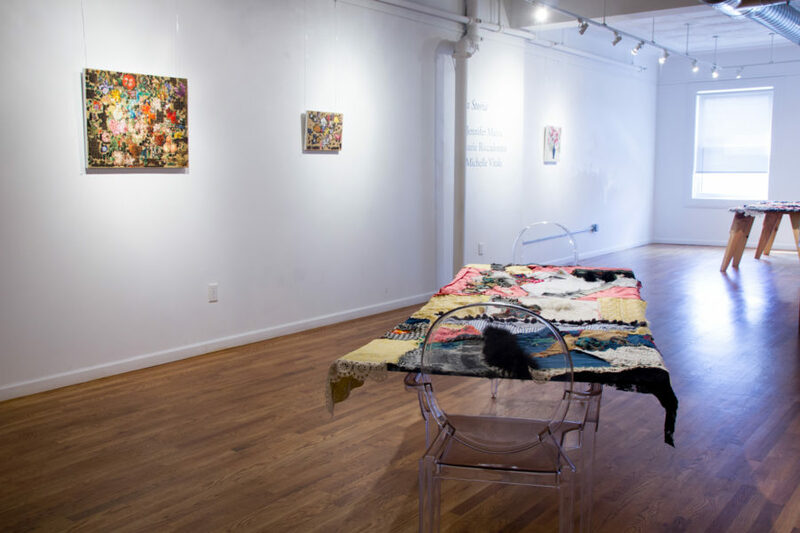 Each too is concerned with the variety of women’s experience, choosing subjects or materials that are frequently casually and patronizingly defined as women’s interest.